Handcrafted of the finest solid woods, the Sadie Pencil Post Bed offers a timeless Shaker styling that has been found in fine interiors for centuries. A simple design that is sure to make a statement, the Sadie Pencil Post Bed is equipped with a lovely canopy. Its plain cut edges and square tapered pencil posts allow the pencil post bed to work in both classic and more contemporary settings. The solid hardwood frame and bed slats work together to accommodate a mattress and foundation. Your Sadie Pencil Post Bed is available in six American hardwoods and a variety of hand-rubbed stains and painted finishes. 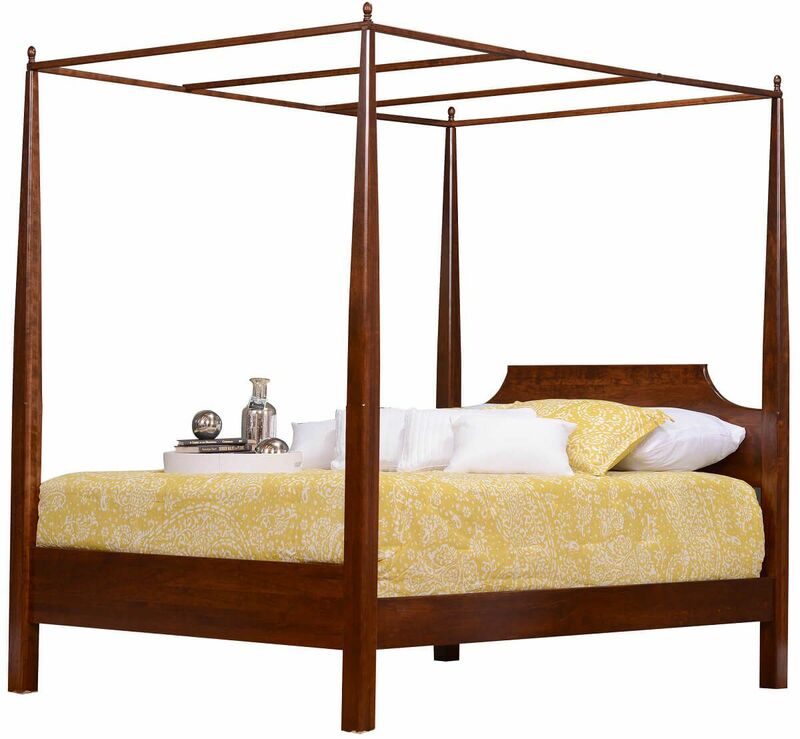 Do you prefer the canopy bed as pictured? Choose Cherry as your wood type and Burnished Honey as your wood finish. Countryside will send a sample of this combination for you to confirm.